Labor Day Weekend is upon us and we're celebrating by holding a pop-up class at Bed-Stuy's hottest new boutique fitness studio, The Fit In. 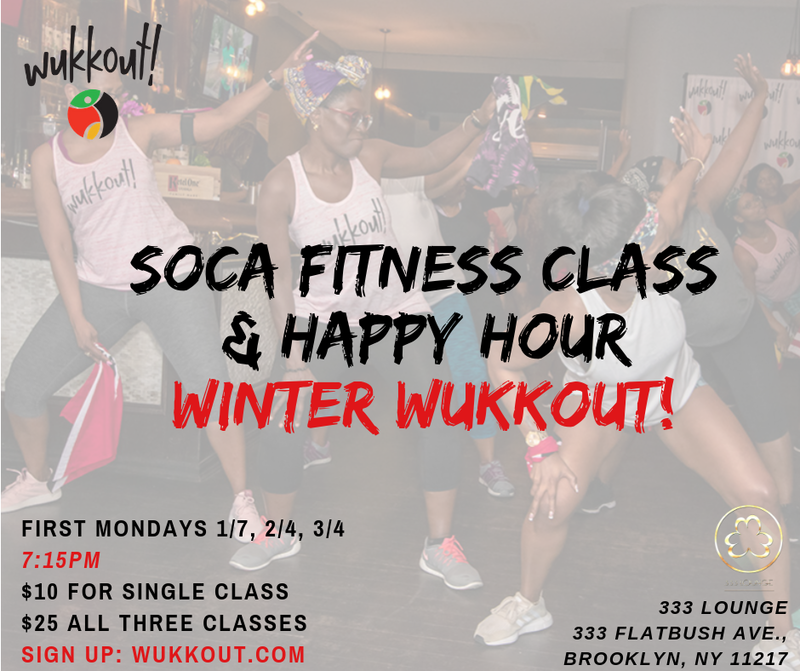 Come tek a wine with us as we get you warmed up and ready to jump and wave on Eastern Parkway. Class will be 1 hour long and refreshments will be served afterwards. Pre-registration is required. See all details and sign up below. See you in class! It's going down, Friday August 24th, at Mark Morris Dance Center in Brooklyn. 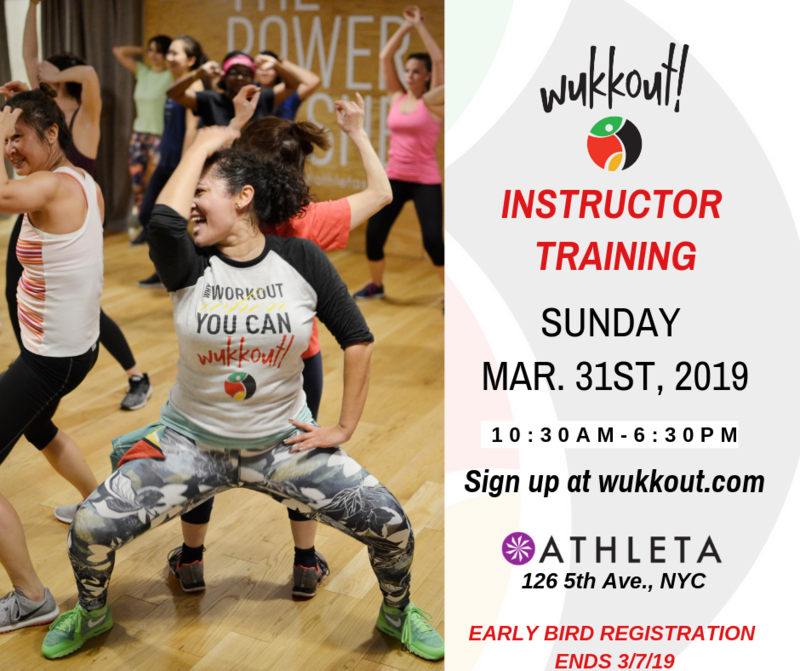 Join Wukkout!® Founder, Krista Martins, alongside Wukkout!® Instructor, Allie, as they bring the Wukkout!® heat to CarNYval & Friends: Pre-Labor Day Sweat Fete. 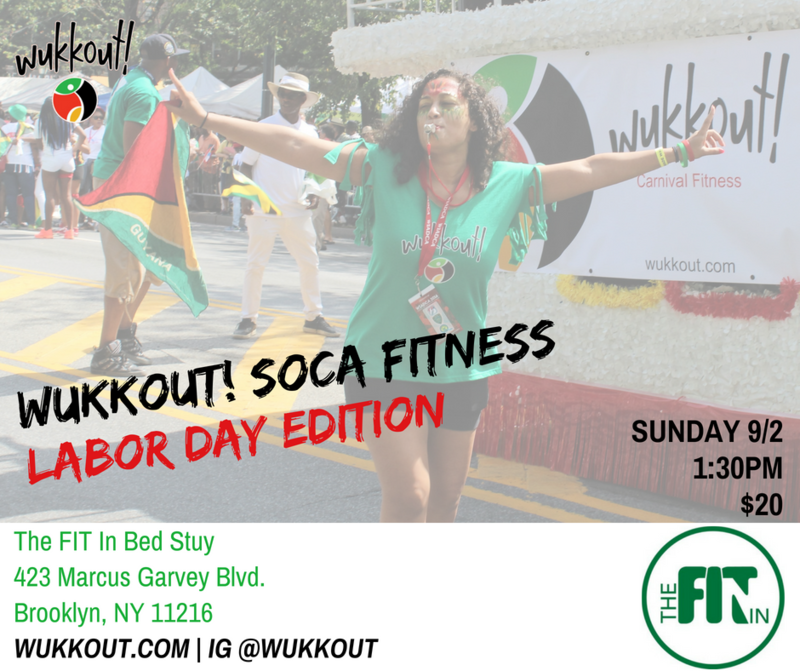 The 3 hour class, hosted by Kiara of CarNYval Fit, will feature some of New York City's top soca and Afrobeat instructors, as we count down the days to the West Indian Day Parade. Advanced ticket purchase is only available from our special #teamwukkout link. See details and get your tickets below. Wukkout!® on the Beach is Back! Wukkout!® is heading back to the beach! 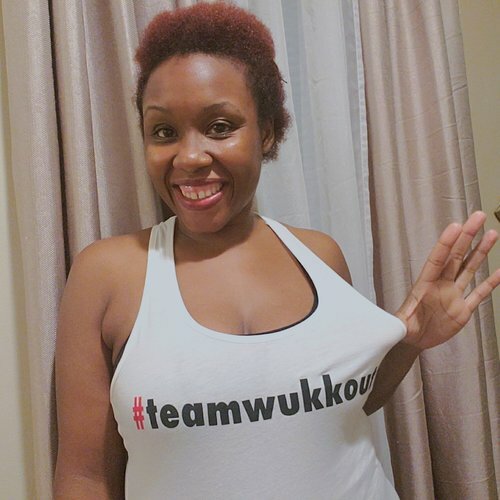 Join us on Saturday July 21st as we Wukkout!® on Coney Island beach in Brooklyn. The class is free and open to the public and is being hosted by the Coney Island YMCA. Class will be one hour long so pack your sunscreen, bring your towel and bottle of water and be ready for some fun in the sun! All details are below; feel free to contact us with any questions. We always have a great time so tell a friend to tell a friend; you won't want to miss this! Click here to see pictures from one of our previous beach classes! *In the event of rain, please call the Coney Island YMCA (718) 215-6900 or check our Facebook or Instagram pages for any cancellation notices.